WINNIPEG (May 28, 2012) Volleyball Canada announced today the 34 athletes who were selected to its Women’s National A and B Teams following a 49-player camp which was held at the Investors Group Athletic Centre at the University of Manitoba in Winnipeg, from May 21 to 25. The 34 athletes will train together for a one month period. In late June the A team will officially be selected and the B team will return to their hometowns. The A squad will then continue training and compete in some exhibition matches against Team Argentina in Winnipeg from July 7-10. Both Team Canada and Team Argentina will be preparing for the Pan Am Cup in Mexico, a qualification event for the 2013 World Grand Prix, which they will both be leaving for on July 11. Returning veterans include Brittney Page of Vernon, BC, Marisa Field of Kelowna BC, Claire Hanna of Calgary, AB, Nadine Alphonse of Laval QC, Marie-Pier Murray-Methot of Quebec City, QC, Janie Guimond of Becancour, QC and currently injured Tiffany Dodds of Lucky Lake, SK. Also returning are new setters who recently competed in their very first international competition last month in the Continental Olympic Qualifying Event in Tijuana Mexico, Jaclyn Ellis of Mississauga, ON and Kelci French of Okotoks, AB. A couple of great Canadian family volleyball traditions are also being continued on the team with Rebecca Pavan, sister of Sarah Pavan being chosen for the squad, and Taylor Pischke, the daughter of Garth Pischke the legendary head coach of the University of Manitoba Bisons. Taylor's brother Dane was also chosen for the men's national B team earlier this month. 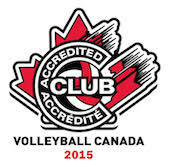 Thirdly, Alicia Perrin was selected, brother of men's A team squad member Gord Perrin, both of Creston, BC. Six athletes who competed at the 2011 FISU Games in Shenzhen China last summer were also chosen: Shanice Marcelle of Victoria, BC, Alicia Perrin of Creston BC, Lisa Barclay of Brandon MB, Kristi Hunter of Dauphin MB, Jaimie Thibeault of Sylvan Lake, AB and Tricia Mayba from Winnipeg, MB who also competed at the 2011 Pan American Games in Guadalajara, Mexico. Tesca Andrew-Wasylik of Unionville, ON and Michaela Reesor of Caledon, ON who were alternates for the 2011 FISU Games were also selected. Marie-Sophie Nadeau who also competed in China was unable to make the Selection Camp due to injury, but will be flying to Winnipeg later this week to join the squad as well.